Arrival and transfer to hotel. Welcome briefing. Full day tour to include: Topkapi Palace (excluding harem), Hippodrome, Blue Mosque and the Grand Bazaar. Afternoon Optional: Dinner with Belly Dancing entertainment. 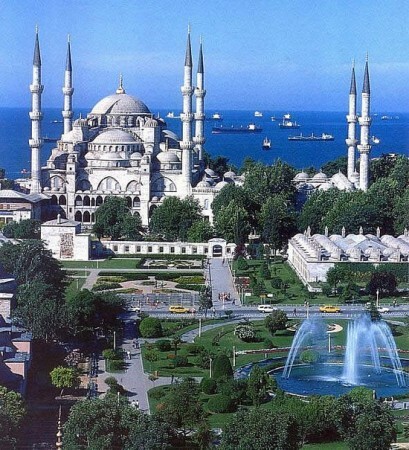 This morning optional tour to St. Sophia and Bosphorus Cruise. Afternoon depart for Ankara approx 15:00pm and late arrival at Ankara. Morning departure to view Hittite artifacts at the Museum of Anatolian Civilizations . Visit the Mausoleum of Ataturk, father of modern Turkey . Drive to Cappadocia , visiting a 13th century caravan inn en route. Tour Goreme's rock chapels decorated with 6th century frescoes, Zelfe's cliff-side Byzantine monastic complex and Uchisar's natural citedal, Sarhatli underground city. Drive to Pamukkale. En route we visit the famous mauseleum of the sufi philosopher Mevlana. Today is the day to pay a visit to the unique Cotton Fortress, the white calcium cascades, and also pay a visit to one of the first modern spa centers of the ancient World, Hierapolis . Then we will drive to Kusadasi. Tour to the famous ruins of Ephesus and St. Mary’s cottage. Visit Pergamum, tour Troy with its famous wooden horse and continue on to Canakkale for overnight. Morning departure for Gallipoli and visit Anzac Cove , Lone pine cemetery, Chunuk Bair, Kabatepe War Museum then across the Dardanelles and drive to Istanbul for overnight. Accommodation in 4 star hotels based on double occupancy. Single occupancy surcharge. Professional English speaking guide throughout the tour. Breakfast (B), Dinner (D) as indicated in the itinerary. All sightseeing and admission fees on the above program. 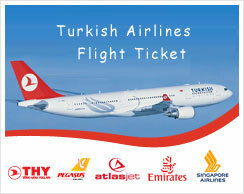 Arrival and Departure Ataturk International Airport transfers. All transportation in Turkey by private a/c tour coach. Personel Expenses. Drinks. Any tipping you feel appropriate. Meals unless stated.